The group performs the pianist’s own compositions and arrangements of works varying in style from jazz, electra, classical, pop to film music. The trio played together for the first time in 2012, when it decided to explore a new style that at times becomes a fusion between classical music and jazz. The band has performed in many different concert halls and for the latest for the European Parliament MEP with the presence of its president, the prime minister and the Grand Duchess of Luxembourg. In reaction to the huge success of their live performances. Dock in Absolute now intends to bring its music to a wider audience, starting in Belgium, Germany, Luxembourg, Japan and China. 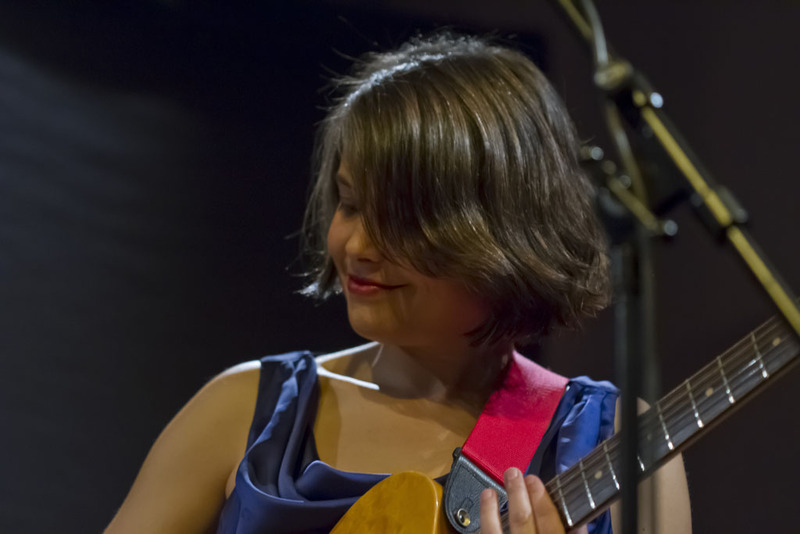 The amazing Swiss born and New York based singer/guitarist/songwriter Eliane Amherd introduces audiences to the freshest new talent to come into the world of Jazz, Afro-Caribbean and Brazilian music in a very long time. Eliane is one of the hottest forces of the New York City Jazz, Brazilian and Latin scene and her charm and strong stage presence have won over audience everywhere she appears. Besides her performances as a leader or a featured artist in New York’s most famous clubs, such as SOB’s, Joe’s Pub, Zinc Bar, the Jazz Standard, the Blue Note, Nuyorican Poets Cafe etc. , she also tours in North and South America, Canada, Europe and Asia. Eliane has worked with greats such as Randy Brecker, Marc Ribot, Michael Carvin, Bill Ware, Jovino Santos Neto etc. Her song “as If” can be heard in the award winning movie “Approaching Union Square” and her voice is featured on Jeremy Mage's song "Slippery Light" appearing on the NBC hit TV series "Lipstick Jungle". Eliane is hailed as “one of the very best singers in New York” by trumpeter Randy Brecker and “a terrific guitarist” by Marc Ribot, who exclaims, "Eliane rocks!" Born 1948 in Olomouc, Czechoslovakia, Emil Viklický started playing piano quite early. While a student, he spent much time playing jazz piano which led to his now lifelong devotion to music. In 1974, he won best soloist at the Czechoslovak Amateur Jazz Festival and got first prize from the Monaco Music Conservatory in 1976. In 1977 Emil was awarded a scholarship to study at the Berklee College of Music. He has worked with various ensembles performing Moravian folk music, modern jazz and contemporary music. 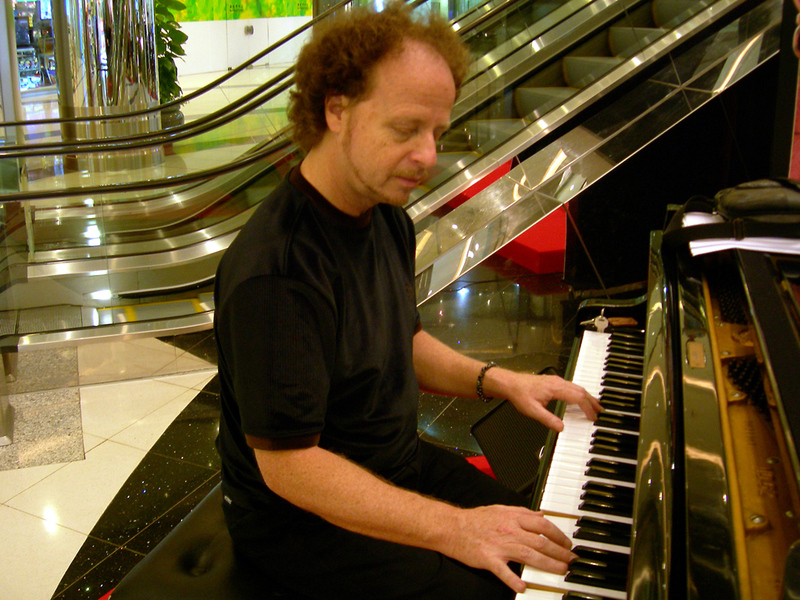 As a pianist, Emil often performs in international ensembles alongside U.S. and other European musicians. He has made frequent appearances in much of Europe, USA, Japan, Mexico, Israel and elsewhere. As a composer, Viklický has attracted attention from abroad and also composes “straight-ahead” modern jazz, chamber and orchestral works as well as film music and TV series. Dutch trumpeter Eric Vloeimans, one of Europe's best, prefers recording originals on his many award winning CD's although he can also be heard performing others. Vloeimans started in classical music but got sucked into jazz and later, graduated with distinction in 1988. He continued his studies in New York under Donald Bryd and gained experience with the big bands of Frank Foster and Mercer Ellington. This multi-award winner has played with jazz figures from Holland, the US, Germany and quite a few others (e.g. Michiel Borstlap, John Taylor, Marc Johnson, Nguyen Le, Lars Danielson and Jimmy Haslip). His quartet, Gatecrash, inspires visions of breaking boundaries and crashing through barricades with reckless abandon. Their electronic sound, infused with delicious Fender Rhodes textures and effects, is captivating as Vloeimans’ trumpet provides companionship through it all. Ernesto Jodos studied piano at the age of 11 years, and at 16 he was hand-picked by Gary Burton, and received a scholarship to study at the “Berklee College of Music” , where he where he studied with Marc Copland and graduated with honors at the age of 19. After returning to his hometown, he found himself a part of a new jazz movement that would renew the Argentinian scene in the 90’s, and that some critics also claim to be very important for the rest of South America. He records his first CD as a leader together with American trombonist Conrad Herwig and Argentinian bass player Hernán Merlo. This has been followed by a dozen of other awarded albums, using formats that range from the Solo Piano to the Sextet, including several discs in Trio and Duets with guitars. His interest in Argentinian “classical” music( both academic and popular) opened the way to a very important collaboration: several concerts, and a two pianos CD (Degeneraciones) with the great Argentinian composer (and Astor Piazzola´s last pianist) Gerardo Gandini. Within this association with Gandini, the work “Porgy´s Dream” was premiered in 2006, for chamber orchestra and “improvising” piano. and his “Solo Piano” album got him the “Jazz musician of year 2004” from the same newspaper. The trio performs a great variety of music and composers. The most important side of the repertoire is based on original music, but the trio also has recorded and performed whole programs dedicated to Argentine “academic” music (Alberto Ginastera, Alberto Williams, Gerardo Gandini), and the pianist Lennie Tristano. This trio received the Prize “Carlos Gardel 2008” for the Best Jazz Album of the year”, and his Quintet received the same prize in 2009. Jodos has given concerts and made recordings in Uruguay, Chile and Colombia. He also performed in many European cities like Spain, Portugal, Germany, Belgium and Denmark and in particular with the Italian pianist Stefano Bollani at the Umbria Winter Jazz Festival in 2009. Jodos has appeared in more than forty recordings, eleven of them as a leader or co-leader, collaborating with American and Canadian jazz artists like Michael Brecker, Chris Cheek, Ingrid Jensen, and Argentinian jazz artists like Willy Gonzalez and Pedro Aznar. Educational activity is a fundamental part of his musical life. He has taught some of the most important musicians from the Argentine scene of the last 15 years. He is the director of the School of Jazz at the Conservatory of Music "Manuel de Falla" (under the Ministry of Culture of the City of Buenos Aires), and Head of Performance of the School of Contemporary Music. He also travelled around the country with the title “Ministry of Education of Argentina” and with the program “Traveling Schools of Music”, and has given workshops and clinics in Chile, Uruguay, Colombia, Brazil and the US., taught and held seminars in various parts of Argentina as part of the Ministry of Education, Science and Technology of the Nation team. He was invited at the Manhattan School of Music (2004), the School of Music Fernando Sor (Bogotá, 2005 and 2006) and the Pontificia Universidad Javeriana (2006). Singer/guitar player Ricardo "Aristides" Bekema founded the Estudiantina Ensemble in dedication and preservation of danzon music in the Estudiantina tradition from Santiago de Cuba in east Cuba. Estudiantina groups were formed by students who roamed the streets and local festivities, played the popular version of danzon during the late 19th century. In addition to the vocals, this style uses two guitars, the tres-guitar, bass, trumpet or flute, claves, guiro, maracas and traditional pailitascubanas. In 2007, the ensemble received an invitation from Buena Vista Social Club member Eliades Ochoa to play at the prestigious “Festival de la Trova Pepe Sanchez” in Santiago de Cuba. They were performing on the legendary stages and in front of the camera's of the Cuban State Television and an ecstatic Cuban crowd. EYOT is the band from Serbia. Their music represents the musicians hungering for a fresh sound, blending the culture of jazz, the sophistication of classical piano, the gritty elements of East European folk music, and just a hint of smooth electronic fusion. In 2009 they were one of the three winners of Umbria Jazz Balkanic Windows Competition, and many domestic and international festivals followed later (Nišvill Jazz Fest, World of Jazz in Dubai, DOKfest in Munich, Alarma Punk Jazz in Sofia, Veisa Jazz / Saransk, Midem Off / Cannes...), along with club gigs on regular basis. In 2010/2011 they had their debut album “Horizon” launched in USA, Croatia and Serbia. The most prominent jazz web-site "All About Jazz" voted them as Video of the day & Mp3 of the day.
" EYOT has made an emphatic and impressive recording debut." The youngest brother of Nat King Cole, Freddy learned and played piano at six, and probably is the last crooner alive today. His vocals -- suave, elegant, formidable, and articulate -- are among the most respected in jazz history. He doesn't apologize for sounding like his brother, Nat "King" Cole, and there are certain unmistakable similarities; he plays piano and sings and performs live with a guitar and upright bass, just like Nat yet his voice is raspier, smokier, jazzier even. But he has emerged from the awesome shadow cast by his elder brother. In truth, his phrasing is closer to that of Frank Sinatra or Billie Holiday and his timing swings a little more. Freddy's career continues to ascend as he has moved into the front ranks of America's homegrown art form with a style and musical sophistication all his own that has made him one of the most expressive male jazz singers of his generation, if not the best alive. More a collective than traditional band, ACID Live’s five official members reflect the range of cultural flavors in Beijing’s arts and music scene. You might hear a twisted wa-wa version of the Mission Impossible theme morph into blues before dissolving into an ocean of ambient electronic crackles. If a ‘60s-style counterculture ever takes off in China, this fusion of Beijing’s musical voices will provide the soundtrack. Gia & The Unpredictable Update are built around the virtuosic musical skill and imaginative compositions of pianist/keyboardist and band leader Gia Ionesco. His talents have attracted the attention of the cream of the crop of Toronto jazz players. Gia and his comrades make musical magic; their sound is a daringly genre-defying blend of world, fusion, jazz, classical and progressive rock elements, one that places them in the vanguard of contemporary jazz. Hong Kong native Ginger Kwan is one of Hong Kong’s most sought-after performance and studio-session singers with a culturally diverse upbringing. She is renowned for her modern interpretations of traditional Chinese and Mandarin songs that have touched audiences of all ages and ethnicity through her many local appearances. Appearing regularly on newspapers, magazines, radio and TV, Ginger is becoming an icon of the local arts scene. Ginger Kwan has worked side-by-side with some of Hong Kong’s most famous artists such as Kenny Bee and Michael Wong. Accompanied by her current line-up of locally based musicians, the group will present, in its most cutting-edge form, soul, R ‘n B and more. Girls in Airports is made up of five male musicians, who mix indie-soul, world, afrobeat and Indian raga with cool Scandinavian tones. With their line-up of two horns, keyboards, drum and percussions ensures a free flowing form that can be both dynamic and forceful without being locked too tight in a groove. This young instrumental band received excellent reviews and also won a Danish Music Award for the Best Jazz Crossover CD release. Their music captures the moment through their steamy rhythm, droning saxophones and a contagious energy that allows the music to just be. Hristo Vitchev is an impressionistic modern jazz guitarist and composer from Bulgaria, and now residing in the San Francisco. Hristo has toured nationally and internationally, appearing at some of the most prestigious jazz clubs and festivals, and has also held guitar clinics in Europe and Japan. He has written more than 270 original compositions, many articles on jazz improvisation, and a book on chordal theory entitled “Between the Voicings: A New Approach to Chord Building for Guitarists”. The Quartet’s 2009 debut album, “Song for Messambria” quickly received outstanding reviews by international jazz community and was selected as one of the best jazz albums of 2009 by E-JAZZ NEWS. Till now, Hristo has released 6 albums under his name, including “The Perperikon Suite” in 2013 which premiered at the 53rd Monterey Jazz Festival. In The Country belongs to no musical world as their music contains inspiration from a lot of different genres. Best known for being the orchestra in Susanna and the Magical Orchestra, Morten Qvenild has been a member of both Shining and Jaga Jazzist and is a long term member of Solveig Slettahjell’s Slow Motion Orchestra. He formed In The Country with bass-player Roger Arntzen and drummer Pål Hausken at the Norwegian Academy of Music in Oslo in 2003. Ines Trickovic is not unknown to South Asian audiences. She has already presented three different projects at festivals in Hong Kong, Macau, Zhuhai and Szenzhen. Last year's project ''Ines Trickovic Sextet: Runjic in Blue'', that included a CD and tour, was widely accepted by audiences as a progressive hard bop album where the vocalist was treated as an equal instrument in the sextet formation. After touring Asia and Europe, she wanted to do a more personal and intimate project, collaborating with established Croatian jazz guitarist Joe Pandur. They are also known by their project Ines & Joe- Samba em Preludio with which they toured China in February 2013. The new concert material is an exploration of her personal favorites in music, regardless of style. Inspired by classical and world music, artists like Erik Satie, John Coltrane, Brazilian composers, old traditional Croatian songs etc. With strong jazz roots, the new quartet brings vibrant jazz communication to the stage and creates their own unique musical language. This is a special project initiated by Ines Trickovic and some of the most respected jazz musicians of the new generation in Croatia. The music paid tribute to the most famous Croatian composer Zdenko Runjic (1942-2004) with the contemporary and jazz music outfit. Their mission is to bring to the world a piece of their cultural heritage and their own style through the universal language of jazz. Although sounding like a young Ella Fitzgerald crossed with Karen Carpenter and Barbara Streisand, the Toronto born Irene Atman has earned respect from some of the toughest jazz critics of New York. She has appeared on the same bill as Tony Bennett and Mel Torme and performed with big names like Guido Bass and Dave Young. She is an accomplished pianist with a great love for classic jazz. With her quiet confidence and unique style, she has won the hearts of fans from New York to Asia with her renditions of some of the best jazz standards. Atman’s progression into the retro/pop scene is a natural evolution of this talented singer, composer and producer. Atman has been in the studio recording material for her upcoming third CD for release in 2012. The album will be a mix of originals and covers in a very cool retro vibe with a contemporary touch, which perfectly describes and personifies Atman’s style. Irene Atman is a step above the others and should be heard. Jacob Karlzon’s music resides in the intersections where Scandinavian expressions such as space, melancholy and sensitivity blend with heat and passion. He has been compared to such luminaries as Keith Jarrett and Bill Evans. His playing style boasts technical brilliance, great rhythmic and harmonic complexity and a perfect feeling for form. His first album came out in 1992, since then he has recorded five more in his own name, and featured on at least 40 others. In 1997 he won the Jazz in Sweden award and was voted Newcomer of the Year by Swedish Radio. In 2010 he was voted Musician of the Year by Swedish Radio’s, and was rewarded the Django d’Or as Contemporary Star of Jazz. He has played with many other leading jazz musicians: Billy Cobham, Kenny Wheeler, Bob Berg, Tim Hagans, Jeff Ballard, Nils Landgren, to name but a few. The most important forum for Jacob, however, is his own trio. JK3 has been touring in Sweden, Norway, Denmark, Lithuania, Germany and UK playing in clubs and festivals for raving audiences and critics. He just released his new album MORE on ACT records. JB trio, which is the one of the best jazz trio in Korea, plays contemporary jazz, featuring brilliant jazz standard arrangements, beautiful original compositions, and new approach of pop music including Korean folk music. Its leader is the pianist / composer Jangeun "JB" Bae who is the winner of many Korean music awards and has also established careers in the North America, New York jazz scene and other international venues as leader and side-man. Ho-Gyu Hwang is the bassist graduated from the famous Monk Institute and toured with great international artists. Dongjin Shin is the one of the high requested drummer in Korea. This trio is the innovative and fearless contemporary jazz ensemble based on pure traditional spirit.